Rich in resources yet rife with conflict, the Democratic Republic of Congo (DRC) is geographically the second largest country in Africa. Its neighbour Rwanda is one of the smallest and has a fraction of the population, yet it has played a key role in instigating several conflicts and interfering in Congolese politics for the past 2 decades, spearheaded by Rwanda’s long serving and recently re-elected president Paul Kagame. Rwanda’s actions have been detrimental to any attempt at peace in the region. Their interference has greatly contributed to the DRC’s currently impoverished and fragile state, as well as wider geopolitical conflict in the Great Lakes region of Africa. Fearing Rwanda’s involvement in Congo would allow anti-Angolan rebels shelter, in the midst of the unrest, Angola sent in their troops to aid the Congolese government. Motivated by the promise of minerals, Zimbabwe also sent in troops to the DRC’s aid. Meanwhile, Rwanda’s close allies Burundi and Uganda sent in their troops to help Kagame in his invasion. In addition to the several state actors, numerous non-state actors with varying alignments, such as the Hutu militia organization Interahamwe and the Angolan guerrilla group UNITA, became involved in the conflict. Seeing the chaos unfold, the UN sent its second largest peacekeeping force in history, deploying 20,000 troops to the region. The result was the bloodiest war since World War II, with 5.4 million dead, a humanitarian crisis and a country left in an impoverished and fragile state. The war ended in a draw; however, Rwanda maintained a military presence in in the DRC until 2009. While Rwanda maintained that its presence in the country was purely for self defence reasons, its continued exploitation of Congo’s natural resource wealth has led many to believe otherwise. The DRC has one of the largest deposits in the world of Coltan, a key mineral in the production of high tech goods, as well as large deposits of gold, diamonds and other valuable minerals. The UN estimated that the Rwandan army made $250 million in the space of eighteen months from the looting of Congolese minerals, in the eastern region of Kivu. Furthermore, during this period of occupation, Rwandan exports in Coltan skyrocketed making it one of the largest Coltan exporters in the world. 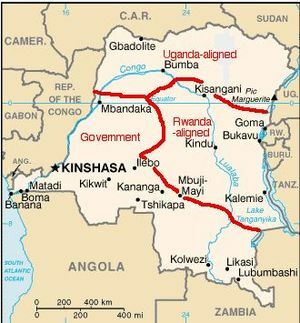 Rwanda’s ally Uganda was also greatly involved in the looting, with the material goals of their occupation becoming very clear after the two supposedly allied forces clashed over diamond mines in Kisangani. As international scrutiny increased (the UN released a report on the issue in 2002), Rwanda attempted to distance itself from the issue, through the establishment of various militias and the support of various warlords. The most prominent and ruthless of these was the CNDP (Congrès National pour la Défense du Peuple ), formed by warlord Laurent Nkunda, who is believed to have committed mass atrocities, according to Human Rights Watch and other NGOs that operate in the region. 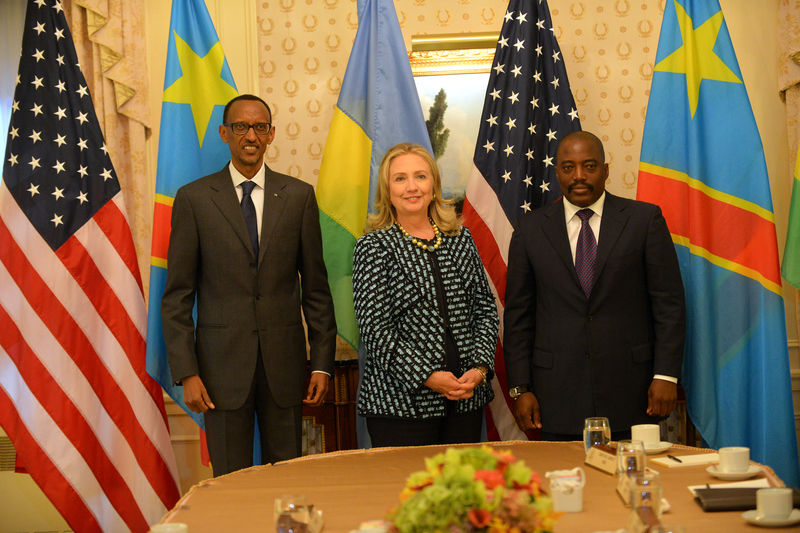 A UN report exposed this relationship in 2004, greatly condemning Rwanda’s presence in the country. The conflict between the Congolese government and Rwandan-supported Tutsi rebel groups was extremely ruthless with the massacres and mass rapes proving exceedingly common, as the groups battled for control over the Kivu region. Throughout this entire time Rwanda defended its role in the destabilization of its neighbour, with the claim of defending its borders from Hutu rebel groups found there. In 2009, a peace deal was finally reached between the CNDP and the Congolese government. Nkunda was arrested by his former supporter, the Rwandan government, and peace finally seemed viable in the long conflict-ridden Kivu region. 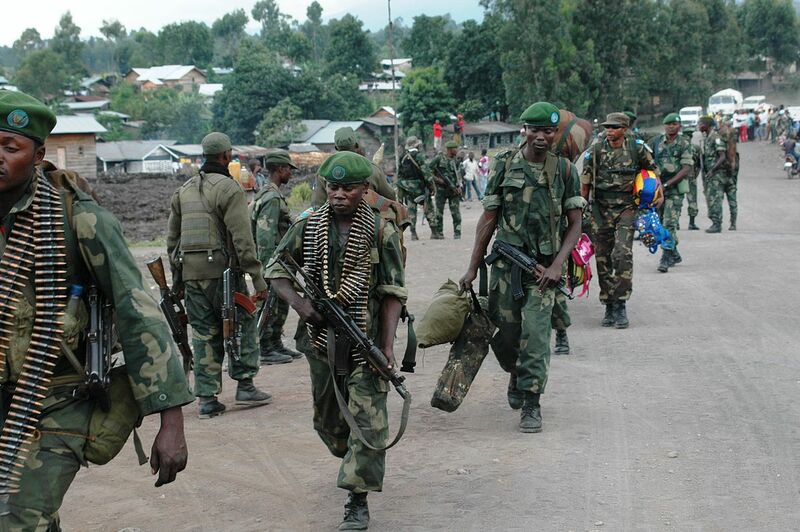 Three years later, however, the peace deal has soured as many of the former Tutsi rebels who had been integrated into the Congolese army took up arms once again against the government managing to take over Goma, the capital city of the North Kivu province. With UN assistance, the Congolese army defeated the M23, over the course of two years. Once again, allegations of Rwandan support for the rebel group surfaced, with a UN report claiming that the Rwandan and Ugandan government provided military aid to the group in their fight against the Congolese state. The M23 in return reportedly smuggled minerals to their neighbours. Following the M23’s defeat in 2013, Rwanda took in scores of former M23 rebels, allowing them asylum in the country. This supposedly included several leaders whom the UN wanted to prosecute for war crimes. Despite the fact that the Rwandan genocide took place more than 20 years ago, conflict between Hutu and Tutsi continues to exist, and has largely moved to neighbouring DRC instead. Identity politics between Hutu and Tutsi have been a key part of Kagame’s approach to his neighbour, despite his aversion to any sort of identity discourse in Rwanda. The justification of his involvement in the Congo, for the protection of Tutsi Congolese from Hutu, has often led to his demonizing Hutus in his neighbouring country. Recently, anti-Hutu posters and lighters were found circulating throughout Congolese cities, a political move which many think Kagame instituted in order to come across as the “good guy.” However, it is not known who is really responsible and furthermore hard to tell in a region as disconnected from the world as the DRC. Since its establishment as a single entity under the brutal colonial regime of King Leopold, the DRC has suffered under the continued rule of tyrants and despots who continue to loot the country rather than use its wealth for the people. The Rwandans are just the latest in a long line of looters to profit off of the country’s vast natural wealth. Even though the need to protect Tutsis from Hutu rebels may have played a large role, resources were undoubtedly a very strong underlying motive for Rwanda’s involvement in their neighbour’s affairs. Despite numerous attempts at a peace process rebel groups continue to thrive in the Kivu region, as soon as one is defeated another one appears. While Rwanda is not solely responsible for the bloody conflict to their west, they have played a large role at undermining numerous attempts at peace, something which as yet nobody on their side has admitted to. Milan Singh-Cheema is a U3 student currently pursuing a degree International Development. He specializes in South and Southeast Asian politics with a particular interest in the way colonialism has affected the regions current political outcomes. When not doing MIR work he loves practicing his jiu jitsu and attempting (and mainly failing) to make elaborate food that his student budget can't handle.